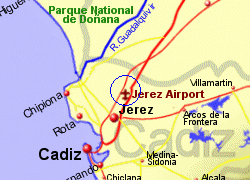 Jerez Airport is located 8Km North of Jerez with good access to the A4 E5 motorway to travel North to Sevilla or South to Cadiz and on towards Tarifa on the N340. 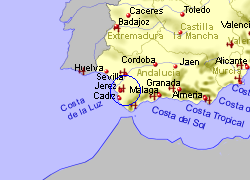 A bus service runs to Jerez and Cadiz 3 times per day. 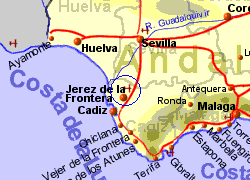 Taxis to Jerez will cost approximately €15, Cadiz €55.